DUBAI, United Arab Emirates – Sep. 26, 2018 – Infor, a leading provider of industry-specific cloud applications, today announced the general availability (GA) of its Infor Coleman Digital Assistant, which is designed to help maximize human work potential by enabling natural language extensibility and accessibility of Infor CloudSuite. From a user perspective, the Infor Coleman Digital Assistant can help make work more enjoyable and productive. At its annual Inforum customer conference, the company also introduced its Infor Coleman AI Platform for embedded machine learning models, which it expects to deliver in the Spring of 2019. The Infor Coleman Digital Assistant is the first in a series of new products rolled out under the Coleman AI umbrella and provides a conversational interface to the Infor OS platform, the underlying foundation of Infor CloudSuite. It offers custom skill building, a voice user experience (UX) and navigation, and natural language processing (NLP) extensibility. Advising. It can provide intelligent insights designed to help users make decisions. Augmenting. It can serve as a partner to help amplify one’s work and provide key information at critical decision points. Automating. It can complete low-value, repetitive tasks to enable users to focus on more valuable work. Conversing. It can offer a better user experience with more efficient interactions. 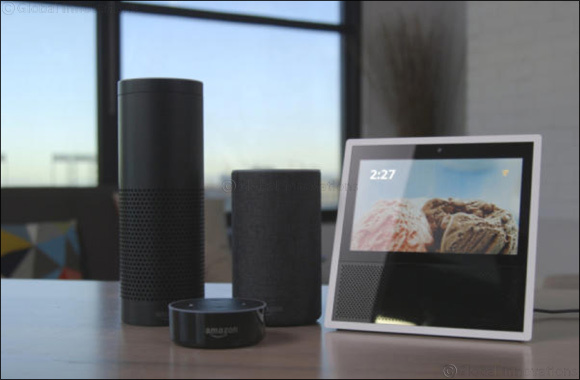 The Infor Coleman Digital Assistant also is expected to be integrated with Amazon Alexa for Business – which provides tools to manage Alexa devices, enroll users, and configure skills with added security across those devices – by the end of 2018. The Infor Coleman Digital Assistant will be available, upon GA, to Infor OS customers, and example skills will be available, at Inforum, from product suites such as Infor CloudSuite Distribution (CSD), Infor CloudSuite Industrial, Infor CRM, Infor LN, Infor M3, Infor CloudSuite Financials & Supply Management (CSF/FSM), and Infor Global Human Resources (GHR), among others. The Infor Coleman AI Platform is a pervasive machine learning platform that operates below an application’s surface. It mines data and uses powerful machine learning to help improve processes such as inventory management, transportation routing, and predictive maintenance. The Infor Coleman AI Platform represents a giant leap forward for AI at scale – incorporating deep reservoirs of network data to help serve the needs of human workers and to help make connected devices smarter. The platform is specifically designed for non-technical, business users and is built upon a foundation of industry-specific data. The Infor Coleman AI modeling environment is “digestible,” in that it doesn’t require as complex of a skillset as other AI tooling, nor is it designed to require an exhaustive service engagement. Customers can better understand, relate, and trust the output, given the focus on user-experience and embedded connectivity to the entire applicable enterprise suite. Organizations can work to gain a competitive advantage by creating models from their proprietary data and experiences, and the Coleman platform enables them to pass along advantages, up and down stream, using their AI insights. This can be particularly appealing to enterprises such as Headwater Companies, LLC, a collection of groundwater distributors. This collective and vested group works to ensure a focused groundwater distribution organization that delivers quality products and leading brands to the industry, providing contractors with the availability and service to meet various application challenges. According to Matt Hendrickson, IT Director at Headwater Companies, the Infor Coleman AI Platform’s citizen developer toolset and embedded nature make it unique and attractive. Hendrickson said that Headwater expects to use the Coleman platform to help ensure it has products available when customers need them. “We are looking to the Infor Coleman AI Platform to give us predictive insights into when products will go out-of-stock,” Hendrickson said. “We want the platform to take action in advance of the stock-out. Maybe this is a notification to a buyer to change their buying habits because of certain weather events, such as droughts or hurricanes, for example. Or, it could be a notification or integration with the supplier’s system, which they can use to adjust their manufacturing forecast. Among the capabilities that Infor expects to deliver with its Infor Coleman technology stack are barcode and QR code scanning and custom image training, or image recognition technologies, known as Infor Coleman Vision. Once a user presents Coleman with a scanned barcode or product image, for example, Coleman could return the desired product information and ordering instructions, or any other applicable skill setup through the same Infor Coleman Digital Assistant skill builder. Coleman is named after the inspiring physicist and mathematician Katherine Coleman Johnson, whose trail-blazing work at NASA helped man land on the moon.